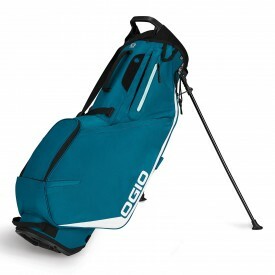 For more than 25 years, Ogio has been producing state of the art bags and packs to meet the needs of athletes in a wide range of sports including golf. The brand's award-winning bags are hugely popular with golfers worldwide for their unique blend of style and functionality, innovation and tradition, unbeatable craftsmanship and comfort, and of course, advanced materials and superior technology which ensure durability and ease of care. Designed and manufactured with an unparalleled attention to every slightest detail, an Ogio bag will never let you down. Striving to offer the best choice of top quality golf equipment, apparel and accessories at the best prices, Golfsupport.com also offers the best choice of Ogio golf bags for every golfer's needs and budget. Our selection of golf bags by Ogio includes all the latest top selling models from the range of both cart and stand bags as well as travel bags to make your golf trips more enjoyable and keep your gear protected.